I'm breeding canaries for the first time. I have my son's canary as I know she has had chicks and I caught a baby canary about 18 months ago. So I put them together to see how they would go. They didn't seem to like each other to start off with. Then they started to build a nest. I offered them 3 different types of nest. A cheap basket from a pet store, a storage type bag, and a small plant pot. They liked the plant/ seedling box. I put in the canary nesting material which they used and then I noticed the female was trying to get woven pieces out of her swing, so I cut the ends off for her and they have a very colourful nest. They have had 4 chicks, hatched and healthy. I am giving them egg and biscuit mix, canary seed, and also fresh vegies. They seem to like corn and broccoli mainly. I use to give my quarrions corn and arrowroot biscuit when I was breeding them years ago. I offer them other things as I think of them but the corn is always the main hit and broccoli. They are doing very well. I am very pleased with the results. I will however get the mixed vegies/frozen and try them as recommended on this site. 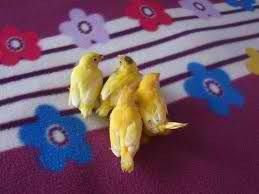 Comments for Breeding Canaries: First Time Canary Breeder. They liked the plant/ seedling box. I put in the canary nesting material which they used and then I noticed the female was trying to get woven pieces out of her swing, so I cut the ends off for her and they have a very colourful nest. Thank you so much for so intelligent article. Good job! I am very pleased with the results. I will however get the mixed veggies/frozen and try them as recommended on this site. I also have canaries. I love to see the new baby canary coming out without feathers and eyes closed. Its a breeding season and female canary is sitting on four eggs and I am too excited. I am currently under this process. 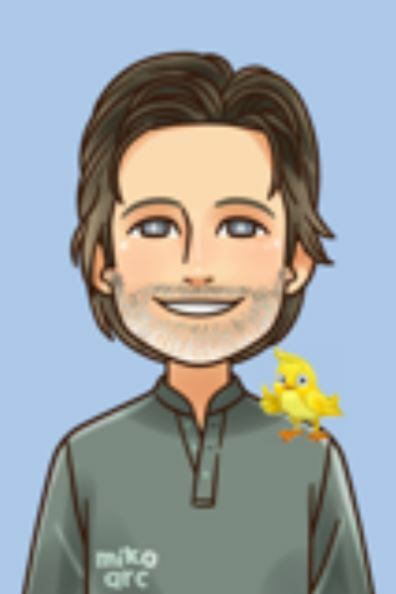 I have been trying to breed my canaries. But the problem is I cannot determine and differentiate between the male and female. I am completely confused. Could someone please help me out here? I have a problem...my male, that I thought was too young yet to breed, got to his sister. She is now the proud Mom of 5 eggs. I was told there shouldn't be to much problem with this one time but I should get another female for him. The problem is I did and they fought and the female died a week after I separated them. Will this group of eggs be OK? New canary owner/second hatching in my house. We now have nest 2, with 3 chicks. They are doing very well. I am feeding them, corn brocolli and egg and biscuit mix. This seems to be what they prefer. You basicallly have to take the chicks out of the cage as the dad canary starts to pick on the bubs. They come into their own when they are in there own cage, at about 6 weeks. They are fascinating, I love the way the dad feeds the mum also in the first few weeks. She makes a pretty whistling noise and dad knows that she needs extra food. The parent birds go through a lot of veggies and they seem to feed the chicks alot more often than quarrions. They are a very small bird but seem to grow in front of your eyes.